The new F20 is built around the F25—an Innovation Award-winning outboard— featuring modified ECU mapping and a redesigned camshaft as well as an alternator that produces up to 16 amps of power and 60% more output than the previous generation F20. The F20 also features variable trolling rpm switch and an easy-to-use fresh water flush attachment along with built-in ergonomic carry handles and two-position resting pads, which make it easy to remove and store the F20. There’s an option to choose manual start configuration, using Yamaha’s battery-less Electronic Fuel Injection (EFI) technology, to power the boat with minimum rigging requirements. Yamaha also offers a range of electric-start configurations, all with factory installed manual pull start. The new F20 comes in long and short shaft versions with remote, electric, or manual start tiller handle, or optional multifunction tiller control. If you’re after a little more thrust, Yamaha says their new T25 delivers the power and grip to manoeuver heavier small vessels. Also based on the award winning F25, Yamaha developed the new T25 in response to requests for lightweight, electronic fuel injected performance in a small, high-thrust configuration. 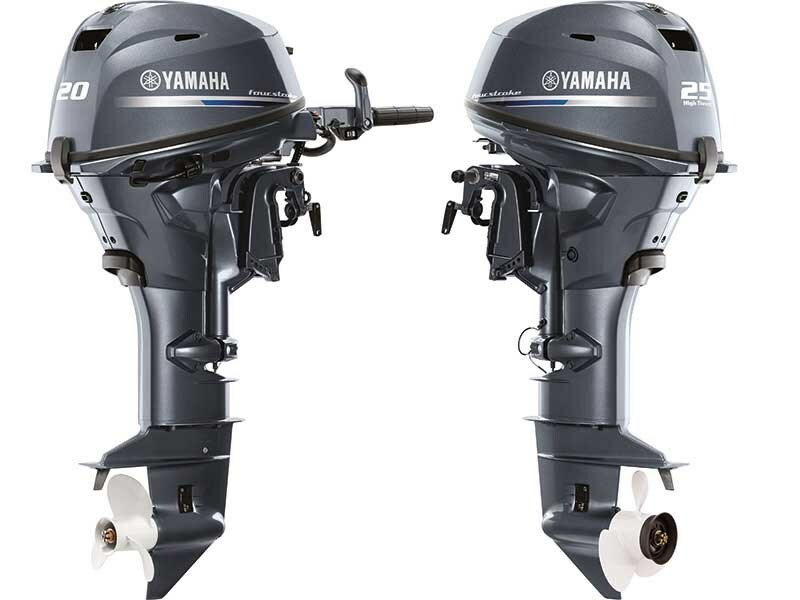 The T25 comes fitted with a patented dual thrust propeller, specifically tested and developed for this outboard. Yamaha says these big-diameter, low-pitch propellers offer exceptional thrust—up to 60% more thrust in reverse and up to 10% in forward gear—and efficiency for pushing big loads in both forward and reverse with exceptional control. T25 also features a two-cylinder powerhead with two valves per cylinder and single overhead cam and is available in both 20-inch (L) and 25-inch (X) shaft length. The new outboards will be on display at the Hutchwilco New Zealand Boat Show at ASB Showgrounds, Greenlane. The F20 is priced from $5799 (unit only) and the T25 is priced from $8199 (unit only).